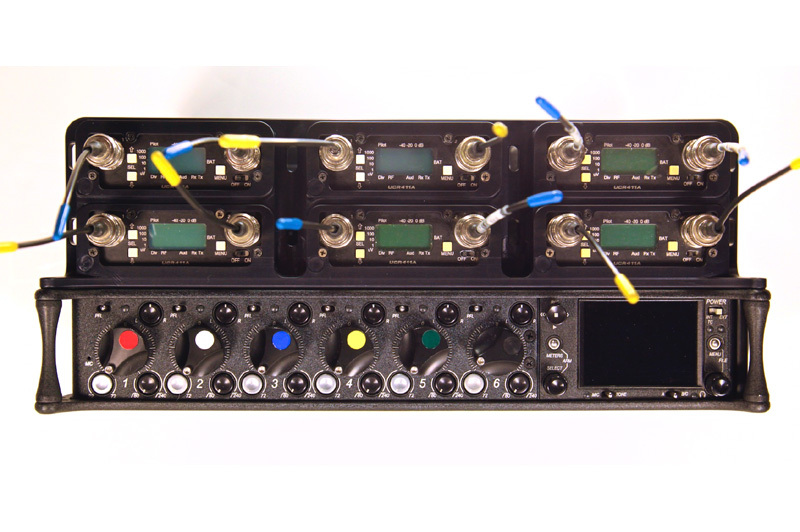 The Soundbag Dashboards 664D is designed to fit the Sound Devices 664 mixer and hold 6 Lectrosonics 411 receivers. It holds all the items neatly and securely in place while taking up the least amount of space possible. It mounts securely to your mixer using pre existing mounting points- no modifications to your mixer is required. 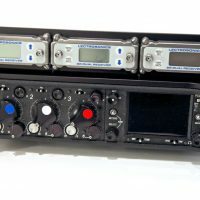 (411 receivers mount to the dashboard using existing mounting points and hardware). Slots have been machined between the receivers to aid in the wiring of antenna distribution systems. Recessed circles have been machined into the surface of the Dashboard so mixers can use the colored stickers to aid in channel identification. Machined out of a single piece of aircraft grade 6061 aluminum for the best combination of high strength and low weight. Available in a blue or black anodized finish. 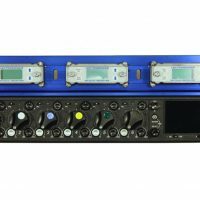 Soundbag Dashboards 664B/688B-V2 is designed to fit the Sound Devices 664 or 688 mixer and hold three Dual channel slot mount receivers. 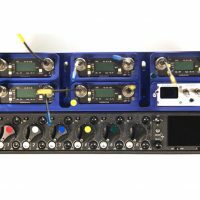 The Soundbag Dashboards 664C is designed to fit the Sound Devices 664 and hold 5 Lectrosonics 411 receivers and 1 Audio Root eSmart BG-DU-REG or Esmart BGDU. 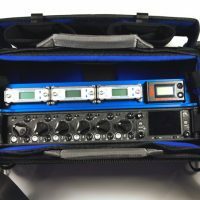 The Soundbag Dashboards 788 is designed to fit the Sound Devices 788T recorder/mixer and hold four Dual channel slot mount receivers. 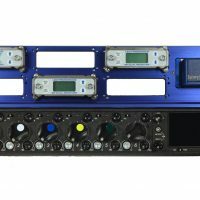 The Soundbag Dashboards 633B-V2 is designed to fit the Sound Devices 633 mixer and hold three Dual channel slot mount receivers. 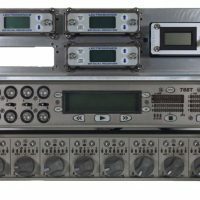 Holds 6 slot mount receivers (lectrosonics SRB or Wisycom) and 1Battery distribution Unit. 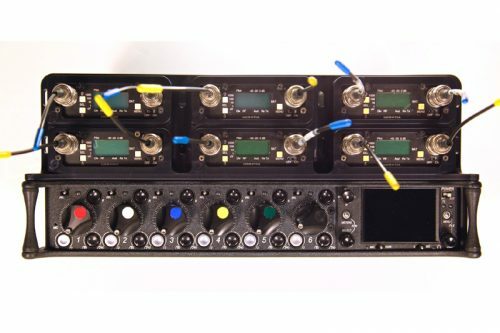 The Soundbag Dashboards 664/688-V2 is designed to fit the Sound Devices 664 or 688 mixer and hold three Dual channel slot mount receivers.